Are you a Speech Therapist who has an ever increasing number of Spanish-speaking students on your caseload? Tired of attempting to translate English language resources? Don't fret! 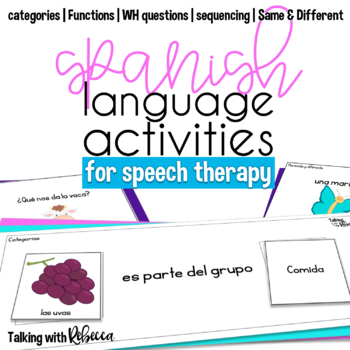 These low prep activities target many common language goals for Spanish speakers in speech therapy. 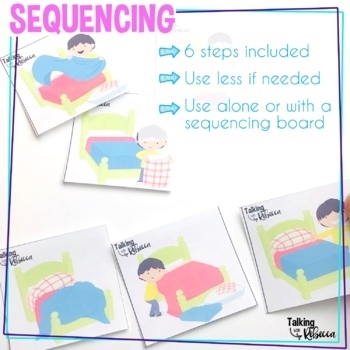 Each sequence can be used with anywhere from 3 to 6 steps; use the amount you need! Many sequences can be broken down into two sets of 3 steps. 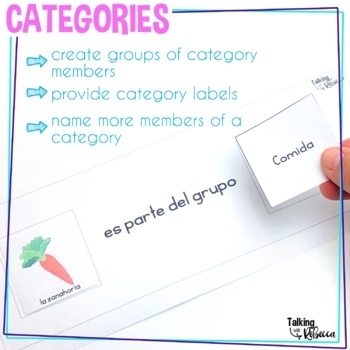 Sequencing strips to cue retelling of the sequence are included. 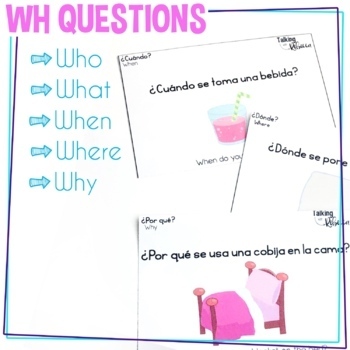 Additional goals can be targeted with these simple visuals! →Click here to be notified when I upload new resources or have a sale.